During a performance optimizing session this week, with a customer, we found some interesting things to boost specific parts of the environment. While playing a high resolution video with clipping where the whole screen turns black and shows a new screen a split second later. When we started, we saw the video bump and freeze from time to time. Also we experienced ghost lines on the middle of the screen, where the upper part of the screen moved first while the bottom part tried to keep up. 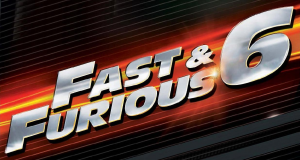 We used the Fast & Furious 6 Official Trailer in an 1080p format for testing. The the business news running in an embedded Windows media player on Internet Explorer 9 didn’t perform well either. The vDesktop is a Windows 7 Enterprise desktop with 2GB memory and 2 vCPU so it can play native 720p videos when necessary as Erik mentioned in his post. We are running the VMware View environment on an Imtech built Flexpod with NetApp storage, Cisco UCS computing power and Cisco Nexus switching for VMware vSphere and VMware View 5. We tried several things to improve and boost the environment within the boundaries of the underlying hardware. While testing we saw that using different browsers (like Chrome and Firefox) had a positive effect on the playback speed for embedded video. When we switched back to Internet Explorer 9 it was utterly crap. 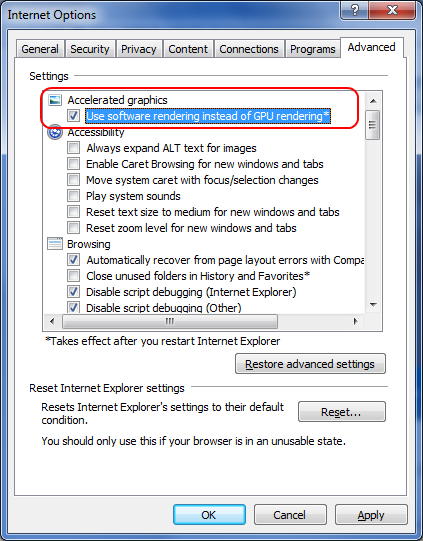 After some digging around we found that you can switch Internet Explorer 9 to Software rendering instead of GPU rendering. We did not find a solution for the Internet Explorer 8, because no setting can be altered. Sounds logical right? Or does your VDI environment have access to a hardware GPU? Think in 99% its all virtual. As a side effect we noticed that using software rendering reduced the number of IE9 crashes and made it stable. Before, Google Maps did not perform at all. After switching to software rendering it now works how it should, with maps and also with satellite images. Ok so now Internet Explorer 9 with the business news and Google maps perform well in the virtual environment. We where testing on a 56″ widescreen to see how far we can go with this. Playing the video which is 1080p in a window on the screen performs well. If we switch it to fullscreen it starts to jitter and bump. So we switched the zero client with a Tera 1 chip for a Tera 2 chip and the performance got another boost between 10-25%. After booting up the zero client with Tera 2 chip in a screen resolution of 1280 x 720 to play fullscreen the video with VLC player, we had a good experience because it runs native now and VMware View does not need to recompose and calculate the other pixels on the extra lines. We used VLC player instead of Windows Media Player, this removed the ghost lines. Started the zero client in resolution of 1280 x 720 which made it possible to view fullscreen blue ray movies on a 56″ screen. “How cool is it to play a Blue Ray movie on a 56” wide screen on a vDesktop running from a remote datacenter without adding accelerator cards? Of course adding accelerator cards can reduce the amount of memory and vCPUs in vDesktops and can boost the performance and VM density of your hardware even further. 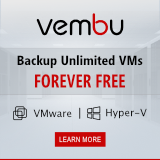 A New Year’s Gift from Veeam!